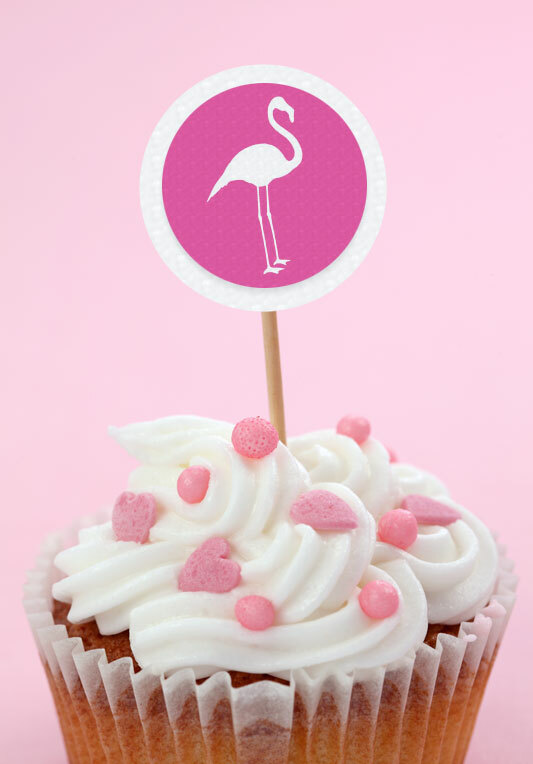 Pretty up your party and add some cute little cupcake toppers to your DIY to do list. As this is for our Alice in Wonderland wedding, we're going to use our FREE flamingo template (available here) but you could use any design you like or even just pretty paper. Step 1. Using a 2" paper craft punch cut out circles of coloured card to be the background of your toppers. Craft punches come in lots of different designs, we have used a plain circle but you could also use a more decorative edged circle punch. Step 2: Print off your flamingo template and using a 1.5" circle punch, cut out each design. Step 3: Stick the flamingo designs to the center of the coloured card with glue or double sided sticky tape. Step 4: Turn over and glue your toothpick, or even better craftpicks, to the back of the circle. Repeat the process if you like for double sided toppers or just leave as is! Easy!